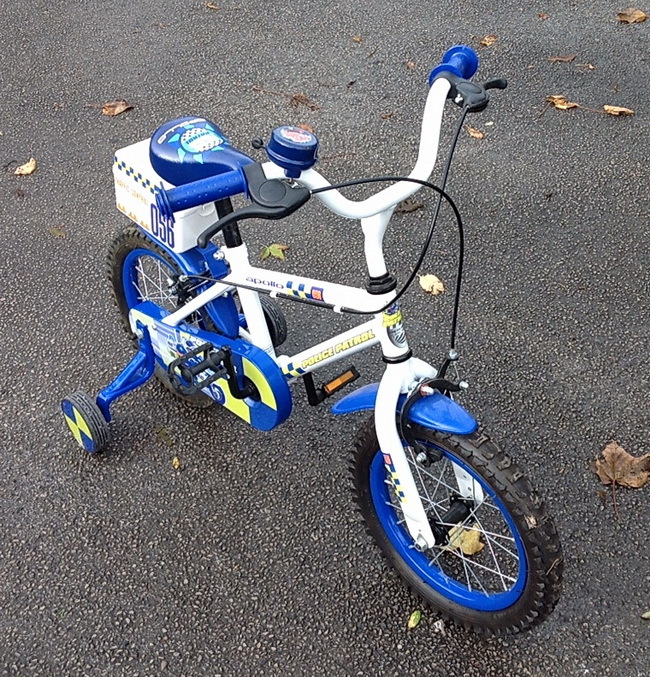 Apollo “Police Patrol” bike with removable stabilisers. Typically suits ages 4 - 6. Little used hence looks almost like new. 07860-521832 for info or viewing (Silsden).